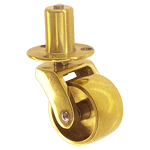 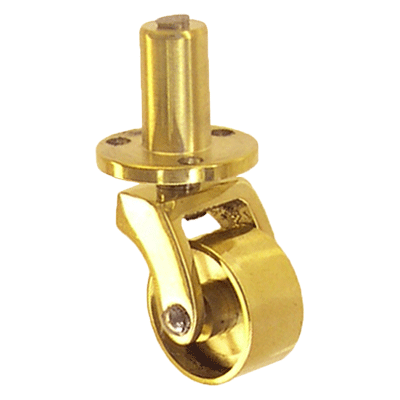 This English style brass caster is sturdy and made for heavy duty applications. 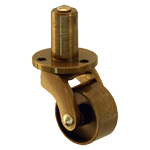 The plate gives it an added stability factor. It is a great fit to use on an antique piece that will allow for the stem or it can be used on modern furniture such as tables, sofas or stand alone cabinets. 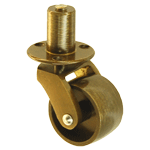 It can also be used to replace casters that used inserts. 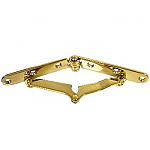 Will raise furniture 1 1/16"
This item is $6.58 when your order exceeds $250 before shipping in qualifying items.